The purpose of this CD-ROM is to bring together the legal, engineering, and management aspects of process safety in an integrated and interactive CD format. This CD is primarily prepared for personnel who are responsible for managing compliance with OSHA’s process safety management standard. In addition, safety professionals, safety and environmental managers, technical personnel, and college students in safety, environmental, and chemical engineering may find this CD helpful in giving them an understanding of the technical, managerial, and technical aspects of process safety management. The major objective of process safety management is to prevent unwanted releases of highly hazardous chemicals to the workplace and surrounding community. 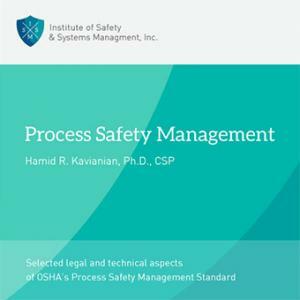 The features include overview of the process safety management standard (29CFR1910.119), introduction to system safety and different process hazard analysis techniques such as Process Hazard Analysis, What If Analysis, Failure Mode and Effect Analysis, Fault Tree Analysis, and Hazard and Operability Analysis. The application of these techniques are demonstrated by applying them to an industrial process in a case study. The Q&A session in the legal and technical sections allow you to evaluate the knowledge gained in each area or take the comprehensive test covering both legal and technical parts at any time. You can Bookmark questions to create your own mini-study session.